What’s up, Saudia Arabia? Did anyone tell you it is the year 2010 and you can stop with your ludicrous rulings and the continuous scaling back of women’s rights and more specifically, their mobility? While this is an absurd charge to say the least, it is not nearly as crazy as what we saw in Saudi Arabia a few days ago when women agreed to start breastfeeding their drivers in an attempt to scale up their campaign to be able to drive. There should be symbolic bond between unrelated men and women who regularly come into contact with each other. This was followed by the brilliant idea of a Saudi scholar who recommended women “donate their breast milk to men.” After all, in Islam breast milk kinship is considered to be as good as blood, according to the Gulf News. This way the drivers can become the woman’s son and they would no longer be going around with men who were not related to them. Yay! Mission accomplished, morality saved! While the Saudi authorities pretend as though they are the ones who hold the moral high ground by continuing to go out of their way to keep the sexes segregated and prevent women from driving, the issuing of fatwas such as this just goes to show who the real perverts are: Saudi men. Saudi men and “scholars” who would rather preserve women’s purity (and other BS) by not allowing them to mix with men, but telling them it is okay to have strangers suckle on your breast so they become related to you?! The truth of the matter is, Saudi authorities want to keep denying women the right to drive as part of their larger efforts to curb the mobility of women and in effect, their rights. After all, the less you are able to get around the less you are able to do. It’s the hiding behind all the Islamic and religious justification that is the most disgusting part to tolerate. 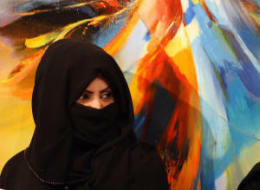 Kudos to the women of Saudi Arabia for taking this as an opportunity to expose to the world and keep reminding us of the culture of absurdity they are forced to live in. These women should be congratulated for using the issuing of yet another insane fatwa and flipping it into an opportunity to maybe one day, finally winning their right to drive. *This post of mine was also published on The Huffington Post and Feministing and Ms. Magazine. Clearly this is not a religious issue but a social one. 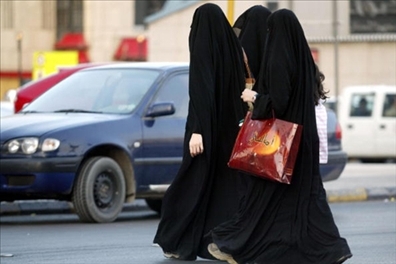 Congratulations to Saudi Arabia for treating women like animals. I don’t understand this part? Meaning justifying your actions through religion and hiding behind it. Ok. Rather than following the advice of a religion, people should start thinking for themselves and reject, if not religion, those parts of religion that tell them to do these things.